Below you will find Top Kendriya Vidyalayas in Hyderabad 2018, List of Best Kendriya Vidyalaya Schools in Hyderabad Region. Promoted in the year 1982, Kendriya Vidyalaya, Begumpet has been striving hard not only for the academic excellence and all round development of the pupils but also for the discipline of mind and body. Kendriya Vidyalaya, Gachibowli was founded in the year 1987 and is run by the mammoth organization the Kendriya Vidyalaya Sangathan. Kendriya Vidyalaya University of Hyderabad Campus, since its inception is managed under the aegis of Kendriya Vidyalaya Sangathan. 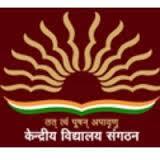 Promoted in the year 1972, Kendriya Vidyalaya No.